Ignacio Football head coach “Ponch” Garcia prowls the Bobcats’ sideline during the 2017 season. Garcia will lead IHS into the 2018 season – his fourth at the helm – when practice officially begins Monday. Looking at Ignacio High’s 2018 football schedule, fans might think matching last season’s win total of four is very doable – particularly with five home games on the nine-game itinerary, and three of those against squads which struggled greatly in 2017. A fourth date at IHS Field will be against a team rejoining the Southern Peaks League after a year away from competition, leaving only defending SPL champion – and 2017 Class 1A State Playoffs runner-up – Centauri as the crew which could dirty the Bobcats’ potential clean sheet at home. Away from the home turf, however, head coach Alfonso “Ponch” Garcia’s bunch will face much stiffer resistance. Following the season-opener versus Leadville-based Lake County (2-7, 1-4 1A Tri-Peaks in 2017) on Aug. 24, Ignacio will visit Crownpoint, New Mexico, on Aug. 31. En route to finishing 3-6 overall, the Eagles went a third-place 1-2 in NMAA District 1-3A play last fall, including a 50-0 home loss to IHS’ first foe slated for after Labor Day in 2018: Newcomb, New Mexico. After a 36-14 win over 1-3A champs Zuni in the NMAA 3A State Playoffs’ opening Round-of-12, the Skyhawks – whom the Bobcats will visit on Sept. 7 – fell 54-0 at vaunted Eunice (destined to finish a 13-0 state champion) in the quarterfinals. Reclassified into a combined District 1/5 in NMAA Class 2A this year, Newcomb finished a solid 9-3 overall (2-1 in Dist. 1-3A) in 2017. 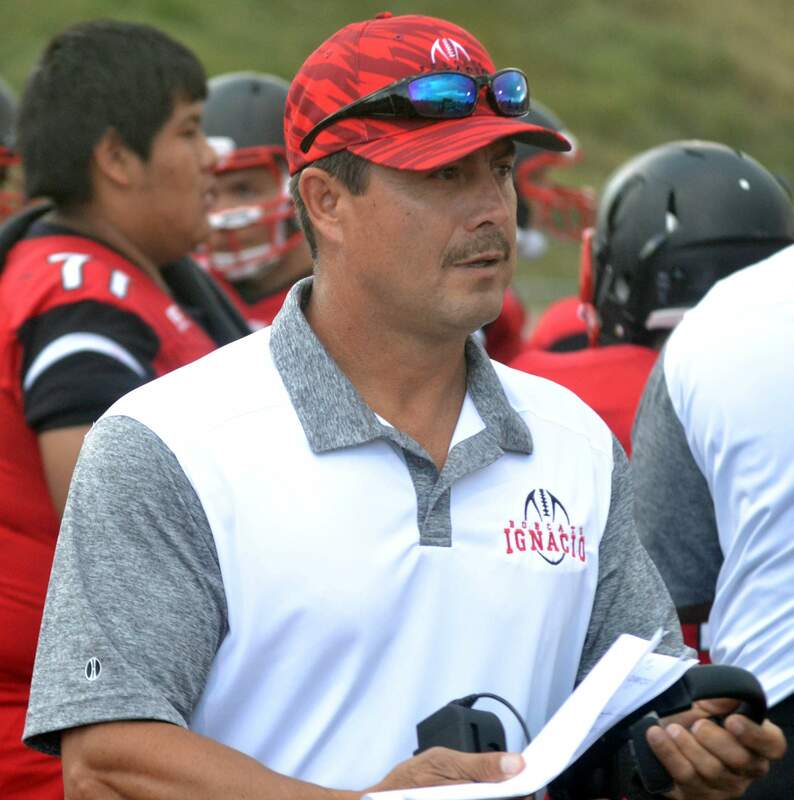 Out of the SoPeaks after a tumultuous season which ended with forfeit losses to Monte Vista, at Ignacio and at Centauri, Walsenburg John Mall (0-8, 0-4 SPC in ’17; playing 2018 in the 1A Santa Fe) and new coach Santiago Bobian will travel to Ignacio for a 7 p.m. start on Sept. 14. After a bye week, IHS will then journey east to test Colorado Springs Christian on Sept. 28. The Lions finished 6-4 overall and 3-2 in the Tri-Peaks last fall before entering the CHSAA State Playoffs’ initial Round-of-16. The Bobcats will then visit Monte Vista on Oct. 12, with the always-tough Pirates coming off a 7-4, 3-1 campaign. Finally, the Bobcats will clash with Centauri on Oct. 26 at 7 p.m. Still with plenty of talent returning at most positions, the Falcons went 4-0 in the SPC last year and finished 12-1 overall after a 10-7, double-overtime loss at home to Strasburg in the 1A state championship. After picking up bizarre forfeit wins over John Mall High School and non-conference Dolores Huerta Prep of Pueblo, Ignacio finished 4-5 overall in 2017, with a third-place 2-2 in the Southern Peaks.